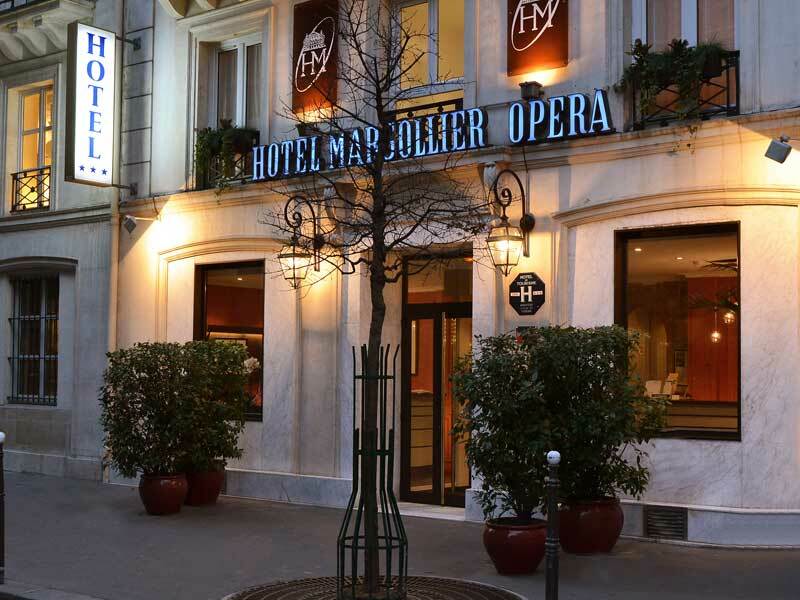 Situated In the heart of Paris, the HOTEL LOUVRE MARSOLLIER OPERA, this stylish and comfortable hotel – residence of Oscar Wilde in 1899 – will be your starting point to discover Paris. Its 28 airconditionning rooms have been designed for your relaxation and well-being. Come and discover or rediscover our hotel completely renovated. On the other hands it meets with all the new safety standards. Following a substantial renovation, our lounge is now a perfect match between natural stone and a definitely contemporary style. Plants and flowers contribute to the harmony of the decoration and make you feel relax in a friendly and elegant atmosphere. In the morning after a good sleep you will enjoy a rich and varied buffet breakfast in our cosy and friendly lounge with a personalized service. The buffet breakfast is served between 7AM and 10 AM. Our well trained staff is committed to anticipate our guests needs by offering high level services. Some guests may need better accessibily however due to historic nature of our building we have no rooms accessible for disabled guests. 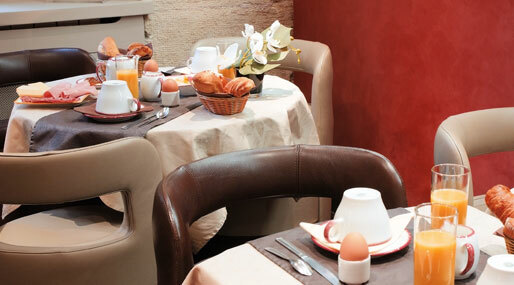 For the health of our guests and according to a general demand the Louvre Marsollier Opéra is a 100% non-smoking hotel. Thank you for your understanding and cooperation. Stay connected. For your convenience the whole Louvre Marsollier Opéra hotel is equipped with high speed internet. If you didn’t bring your laptop don’t worry we have a business corner.